The tricolour flutters freely to the rhythm of the country’s winds, watching over the capital. Courtyards, some hidden, some sprawling in the wide open. Fountains, porches and stretched black cars. The heart of Lutyens’ Delhi, the Rashtrapati Bhavan, will serve as the venue for the Laureates and Leaders for Children Summit 2016 from 10-11 December. Dignitaries from across the world have arrived in the capital. More than 20 kilometres north-east of this cream-stone structure is a village called Burari. Before reaching there, the ring road leads into a small lane that ends into a cracked, kaccha gully. 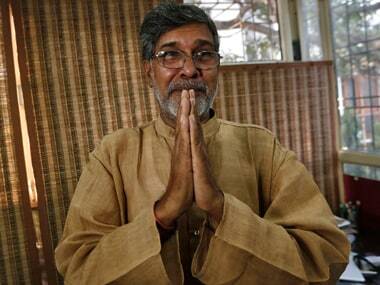 In 1991, Nobel laureate Kailash Satyarthi established India’s first centre for rescued bonded labourers here, known as the Mukti Ashram. In doing so, he showed that is it not history and privilege that define a place, but the intent and effort that goes into building the present. Save the present, nurture the present, for it is what becomes the future. 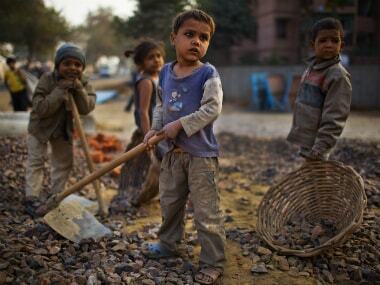 He saw the present in the eyes of the children who were languishing in slavery. Upon his invitation, Princess Laurentien of Netherlands; Nobel Peace laureate Jose Ramos Horta, who is also former the President of East Timor; and the First Lady of Panama, Lorena Castillo; have travelled to India for the summit. 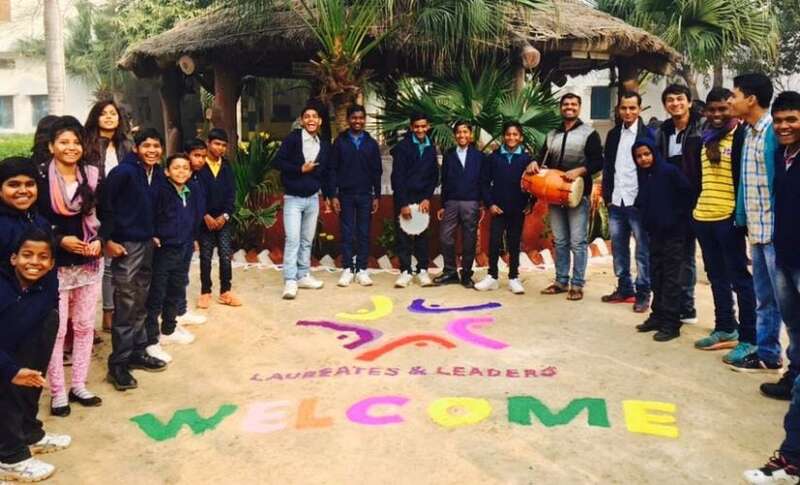 On Friday, they were given a warm welcome at the rehabilitation centre. The guests were welcomed with rose garlands by the children at the centre, who then shared their stories. Among them was Mohammad Danish and Mohammad Alim, two 13-year-old boys. The former used to work in a factory, the latter was a rag picker. But now, they both read, write and play football. Imtiyaz Ali, 15, was trafficked from Bihar at the age of nine and was made to work in an embroidery factory for 16 hours a day, earning as little as Rs 50 per week. Translating their tales into English for the guests were Kinshuk Kumar and Amar Lal, a mechanical engineering student who used to clean cars and a human-rights lawyer in the making, respectively. The latter was rescued at age of five from a stone quarry. Students from Bachpan Bachao Andolan’s Bal Ashram in Jaipur and Child Friendly Villages in Meerut and Rajasthan were also present there. Before the guests settled to address the children, they took a tour of the ashram. 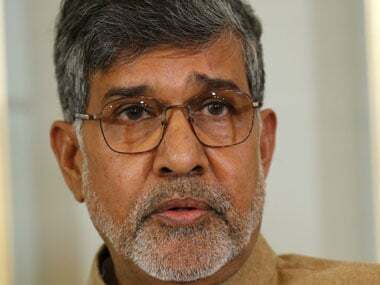 Outside a classroom, was a picture of Satyarthi with the quote: ‘When one door of a classroom opens for a child, a million doors of opportunities open up’. In the muddy playground was a jeep upon which a message was painted: ‘har bacche ka hai adhikaar, roti, khel, padhai, pyaar’ (food, a playground, education and love are the rights of every child). “It doesn’t matter where we come from, we are one. I want you to dream, work hard, study and realise them. You can be anything, from an engineer to a lawyer to the president,” said the First Lady of Panama, as she blew kisses to the children, dressed in blue and red sweaters. She was later seen riding an elephant in the lawns and patting a cow, and dancing to dholak beats with the children. Jose Ramos Horta, who gave the people of East Timor a new lease of life, said that the challenge for leaders is to build a populace whose identity is preserved and at the same time is global in its spirit. Before serving his country as President, he was known internationally as a peacemaker. In exile from his country for nearly three decades, Horta was the international voice of the Timorese people, while they fought for survival against one of the most brutal regimes of the time. 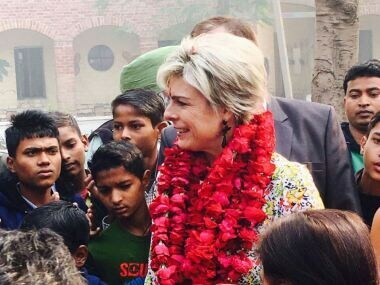 Princess Laurentien of Netherlands,UNESCO Special Envoy on Literacy for Development, said that as she grows older, she feels more and more ashamed of being an adult. She established the Reading & Writing Foundation (Stichting Lezen & Schrijven) in 2003. The aims of the foundation are to raise awareness, bring together traditional and new stakeholders and to develop pilot projects. “Don’t let the rainbow of childhood die inside you. You are not leaders of tomorrow, you are leaders of today,” she said. She then went on to add that the education system shouldn’t kill creativity, imagination and morality of a child, for those qualities are what the world needs the most. “As adults, we realise we have shortcomings. 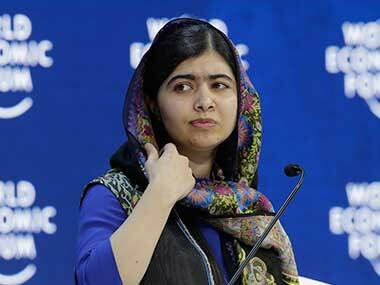 We should want our children to be free of them, so they grow up better,” she added. Among those who will grace the event on Saturday are His Holiness the Dalai Lama; Princess Charlene of Monaco; Kerry Kennedy, President, Robert F Kennedy Human Rights Centre; and Julia Gallard, former Prime Minister of Australia. The event on Friday was more about tomorrow, the day after and hereafter!